All the kids are cute and have the super soft skins that are always delicate to harsh weathers! So, if you are willing to make your baby winter-protected then you definitely cover them warm and if you are willing to do this without losing the cuteness and style then hooded ponchos would be a great choice! 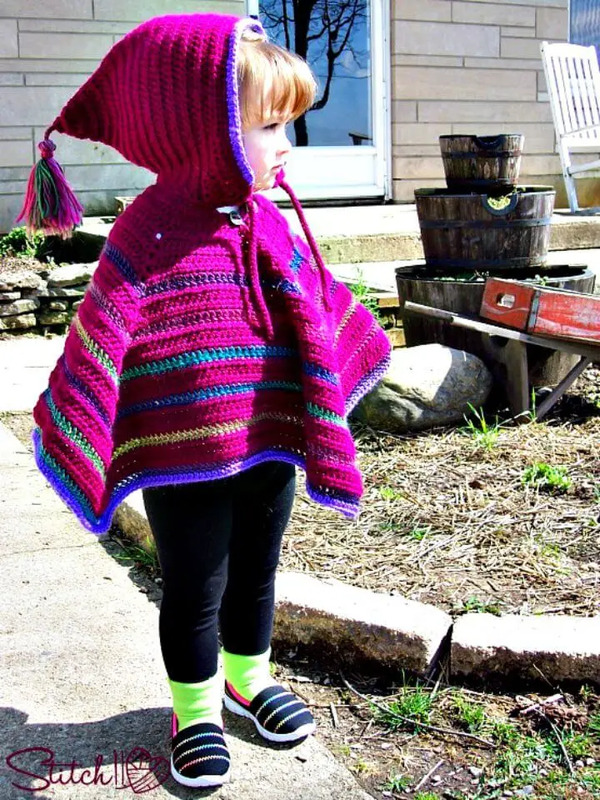 Crochet hooded ponchos would be the more graceful and enchanting alternatives to winter jacks and if talk about the kids hooded ponchos, they will just make the perfect accessory for all kids wardrobes! A hooded poncho will just eliminate the need of an extra hat and it would serve as 2 in one winter accessory that guarantees also to make your kids double cute and extra beautiful! So, will add some hooded ponchos to your kids’ closet this winter? Then why not crochet them at home using your own crochet skills? 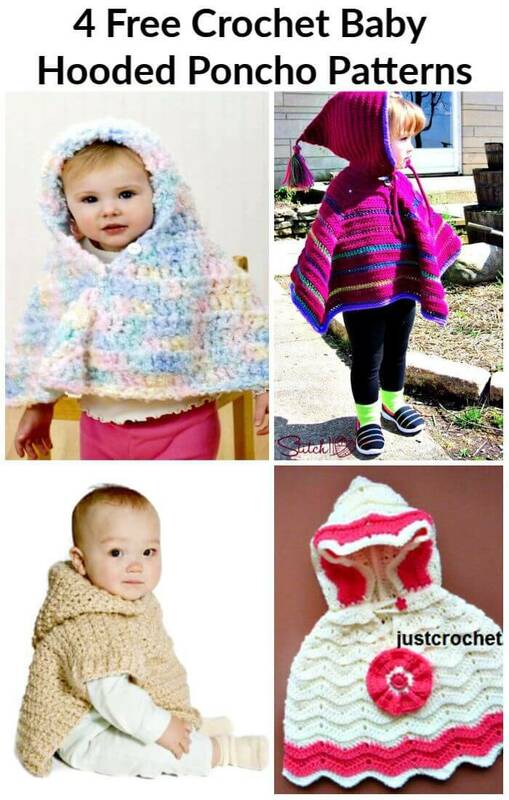 Yes, you can easily do so to win the heart of your kids and if you need some smart inspirations and ideas in this case then just check out here these Free Crochet Baby Hooded Poncho Patterns that are highly cute and adorable and you will just love crocheting these hooded ponchos for your babies! Ponchos are not only for kids, they are equally stylish for the style-loving teen, women and also for both genres! They bring amazing winter style and lots of warmth to you if crocheted with chunky yarn weights! And you can just wear them on occasions and also for bigger statements of casual fashion! 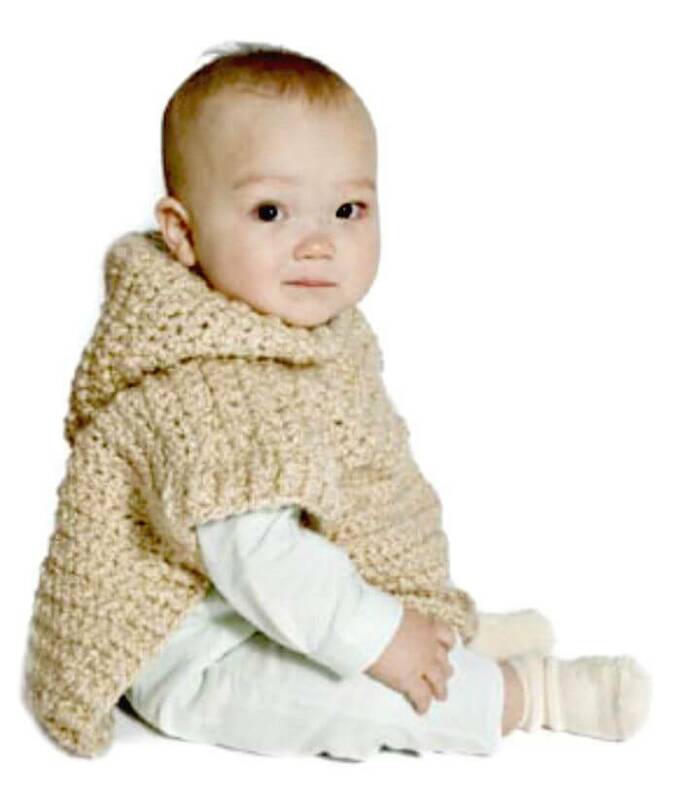 But here these complied poncho patterns are baby special and they will truly hold the babies warm without sacrificing their cuteness even a bit! Here this list will just provide you so many different designs to choose from they also vary from simple to complicated and you can easily choose the fun that fits best to your skill level! Time to put your hook on the test by crocheting these amazing crochet baby hooded ponchos! Not only for deadly cold weather, but you can also crochet fantastic looking ponchos for the summer and spring season and also for less chilly days just by selecting less chunky yarn weights and next you can also leave extra spacing among the stitches and chains to gain your finally finished product airy! 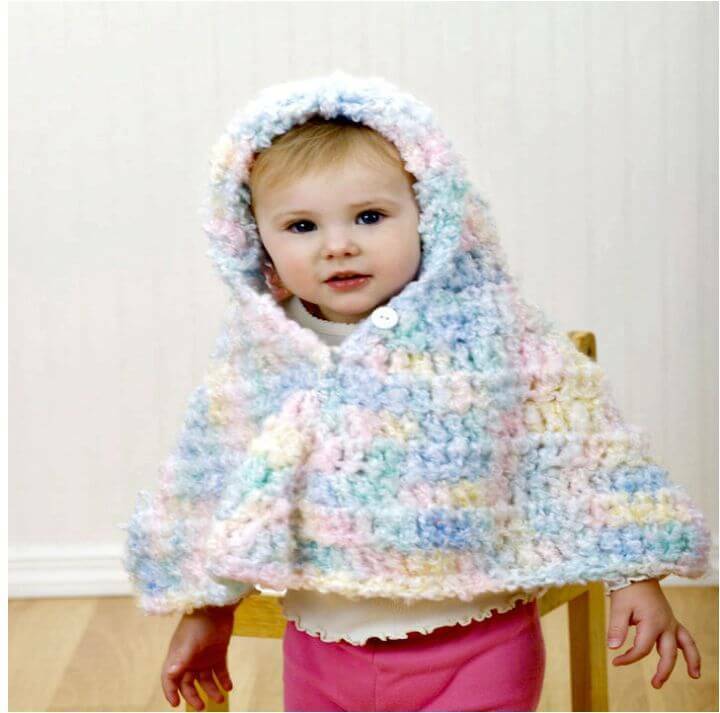 Just crochet the hooded baby poncho at home using neutral yarn hue that will rock for the fall season and crochet the colorful hooded poncho with the enticing tassels that will go double cute! Crochet the wee hooded poncho for your baby’s wardrobe and also make striped hooded ponchos that will go extra eye-catching! 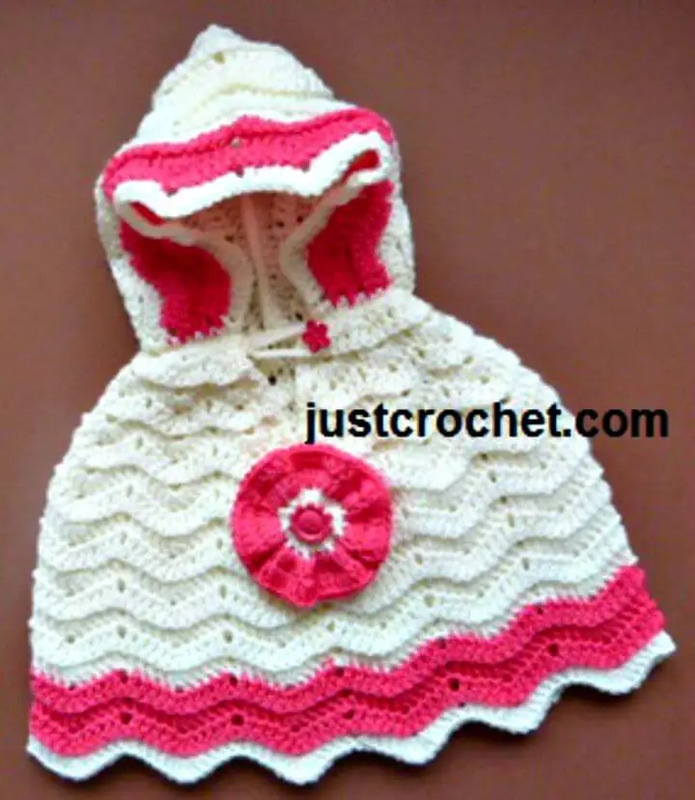 Here all these Crochet Baby Hooded Ponchos will also make a fab gift for a mother-to-be! Check out all the given designs and do duplicate your favorite one at home! Grab the free crochet poncho patterns and tutorials by clicking once the attached links!